Outdoorphoto have for the first time – and hopefully not the last – created a photographic book featuring some of the best images submitted to their forum member galleries by some 18,000 plus members. 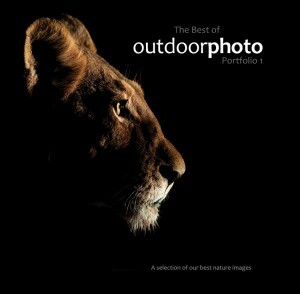 Naturally the book only contains a handful of what there is for your viewing on the Outdoorphoto site. So what can you expect to find inside this 192 page hardcover coffee table compliment? Page after page of this book is filled with amazing images of wildlife, landscapes, insects, birds, patience and more patience. I say that as each image is accompanied by a caption many of which share the story behind the scenes. When you read the stories and understand the watching, waiting and then more waiting that wildlife photographers go through, you quickly gain a new found respect for this genre of photography. It was bird watching that first drew my attention to photography. I openly admit now as I look over these images and read the stories that the reason I have never been well rewarded with great wildlife or bird images is because I have never developed the discipline of patience it requires. If you love African wildlife and inspirational photography this book is for you. In addition a percentage of the proceeds from the sales of this book also goes to Free Me and SANCCOB making it even more worth the R295.00 that it costs. Perhaps make it a Christmas gift for someone.